This week we’ve been working on renovating the living room and dining room, showrooms in our Aurora store. Since next Saturday is our store’s 2nd Anniversary we thought it was time to give these rooms an update with new paint, molding and a little bit of character! Speaking of our 2nd Anniversary… the Aurora store only will be have a SALE next Saturday September 19th. 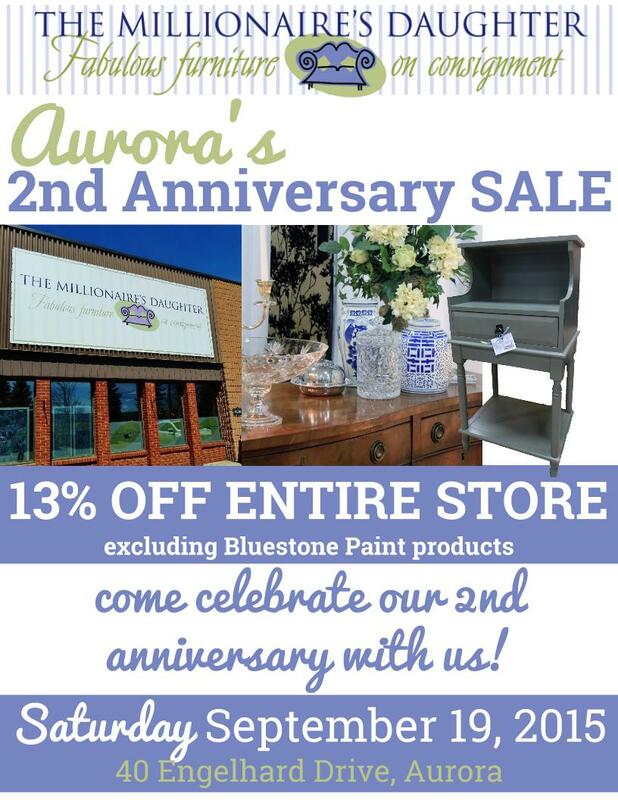 Come celebrate our 2nd anniversary with us and enjoy 13% OFF the entire store (excluding Bluestone Paint products). A HUGE thank you to Red Star Carpentry for these in store renovations! We are so exciting to decorate and stage these rooms with the amazing furniture we have on consignment at The Millionaire’s Daughter.